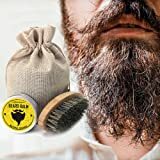 Men's pocket beard brush for all beards, stylish and portable. 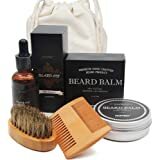 It can gently massages the skin beneath your beard, protect your skin. Pocket beard brushes are the perfect gift for the men at any special moment. 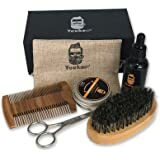 -Great used with beard oils, balms, waxes and conditioners. 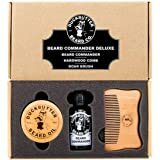 Can be used on wet, dry or oiled beards. 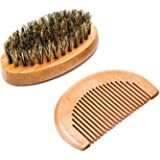 -Material: The brush is of solid wood and boar bristles. 3.0 out of 5 starsCheap but it works. 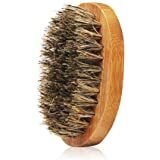 Soft bristles on the brush will get through stubble, but won't get through a beard well, still brushed down the straggling hairs well. Comb is decent, a bit of warping occured on the first day, snags a little but not bad for the price. The images of the product are misleading. These products are miniature in nature and if I had realized that I would had never made the purchase. Disappointed, bought 3 sets as gifts. 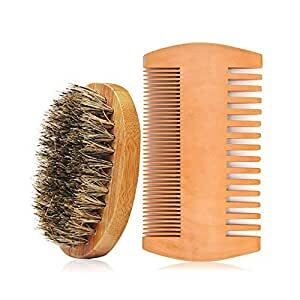 The comb is fine but the brush is minature. Embarrassing, I can give these as gifts now. I had order this for myself it's okay Masha Allah.